Fleksy's claim to fame is that its aggressive autocorrect can get the gist of your typing even if it's a total mess. It has a compact mode that relies on gestures, GIFs, and various extensions. It's a remarkably popular keyboard with a dedicated fan base, so it's nice to know it's not dead. At least not immediately. So, what is happening to the Fleksy keyboard? Nothing at the moment. 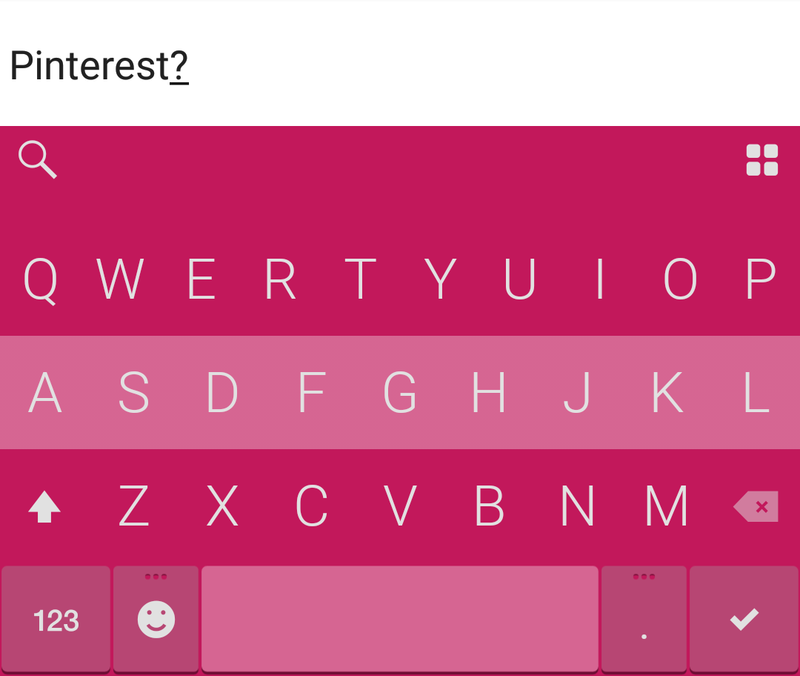 It will continue to be available in the Play Store, although I don't know what interest Pinterest could have in owning a keyboard app. The only change right now is that Fleksy is open sourcing some of the components related to support for the blind and visually impaired. Several sources are reporting that Pinterest did not acquire the technology behind Fleksy, just the engineers. Even though the blog post claimed you would not "need to worry about being forced to re-learn to type on a alternative keyboard," it sounds like that's what you'll have to do. Fleksy is not being removed from the Play Store, but it's not going to be supported either.